Moving west out of Florida, we drove through Alabama and Mississippi in quick succession. After spending a few nights in Livingston, Louisiana, we headed to Port Arthur, Texas. We found the Beaumont/Port Arthur/Orange tri-cities area to be very industrial, with most of the business centered on oil production and refining. While the port cities are an important cog in the big American wheel, they are not exactly what we would call a naturally inviting place to spend a few days. But our campground was decent, so we thought we would check the area out. A lot of famous people are from this region: Singers Janis Joplin, Mark Chesnutt, Tracy Byrd, George Jones, Clay Walker, and Edgar & Johnny Winter are from here. Athletes Babe Zaharias, Bubba Smith, Frank Robinson, Bruce Lietzke, and Detroit Lions standouts Mel Farr (superstar!) and Jerry Ball all hail from the area. Surely there must be something more than oil here. We set out to look for a little culture and nature. 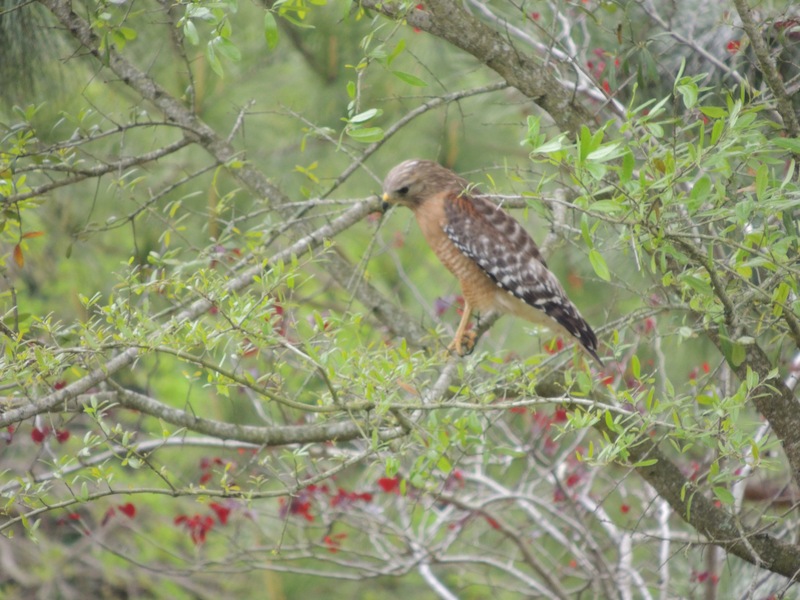 The first place we went to was Cattail Swamp, in search of the elusive roseate spoonbill. This area is actually a man made retention area that is the last step of the town’s sewage treatment plant. We had to pass through a gate that had a sign that said “Warning: Aggressive Alligators”. Hmmm….the ones we saw in the Everglades seemed pretty content, perhaps these weren’t as happy with their surroundings. :). We stayed for a few minutes and saw a fair amount of birds and ducks, but no spoonbills or ticked-off gators. Diana had another place that we could check out, and it ended up being a winner! 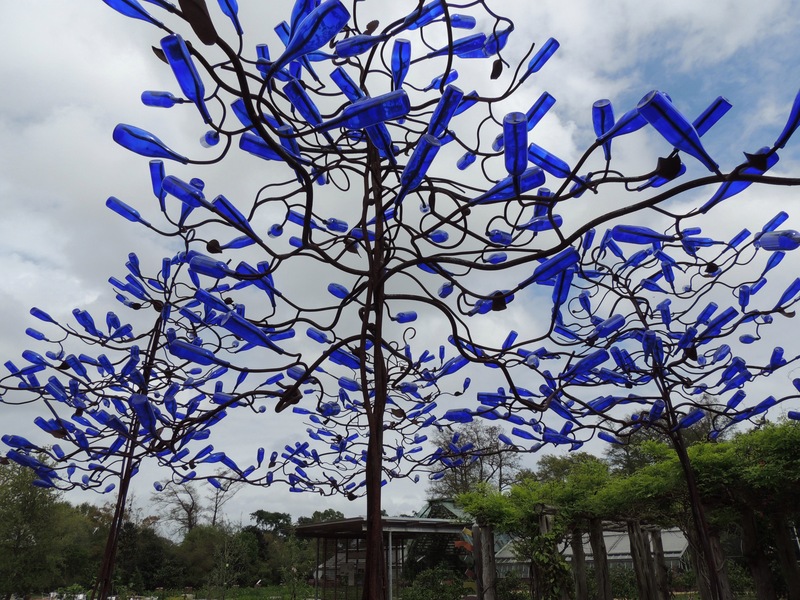 Shangri La Botanical Gardens is a privately owned preserve in Orange, Texas. H.J. 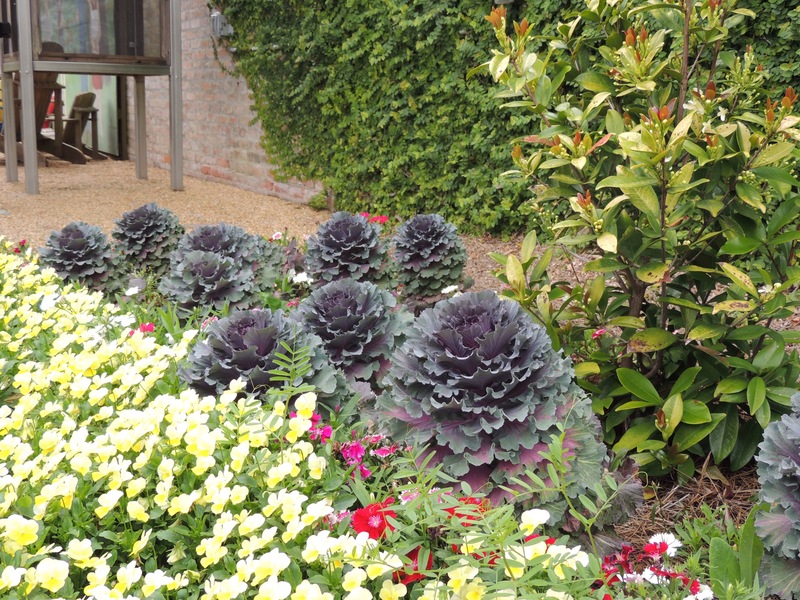 Lutcher Stark, a local business leader, began the gardens in 1942. It is now overseen by he and his wife’s foundation. 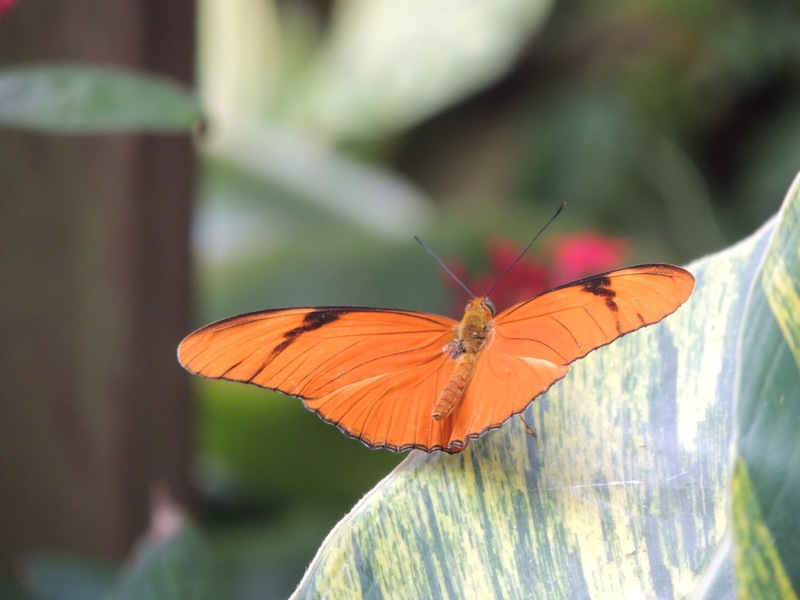 The gardens are a member of the American Horticultural Society’s Reciprocity Program, so we toured for free using our Meijer Gardens membership. It was a great way to get out and stretch our legs after a morning of doing paperwork. The entrance to the grounds was very inviting. 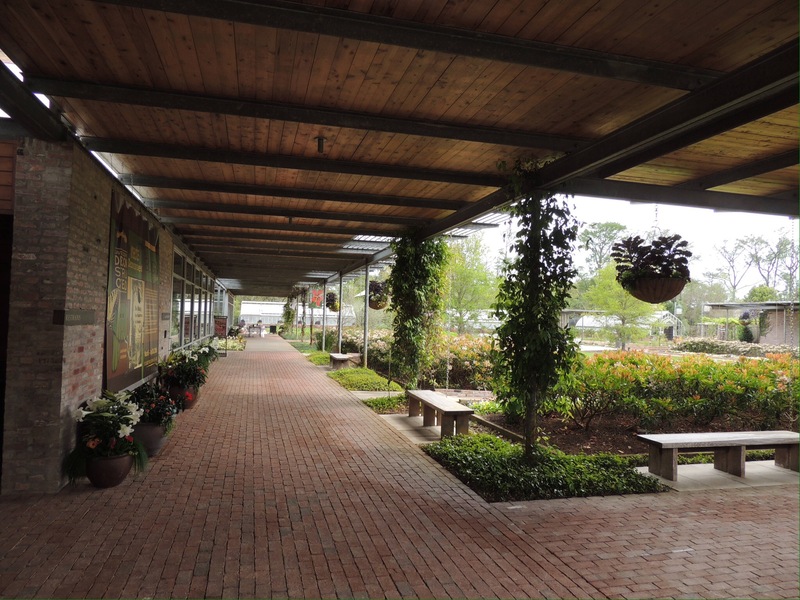 It is interesting to note that this facility is the first in Texas to achieve LEED Platinum status, the highest level possible through the U.S. Green Building Council. This area contains a wetlands demonstration garden; a series of ponds that take in water from an adjacent lake and filter the waterfowl waste from it. It demonstrates how man-made wetlands can have a positive impact on nature. The grounds were planted in more of a formal pattern than was the case at McKee Botanical Garden in Vero Beach, Florida. Most of the major plants were well identified. This Stephanie Dwyer sculpture, Dancing Sisters, marks the entrance to the interactive children’s garden. Shangri La also has a series of greenhouses. 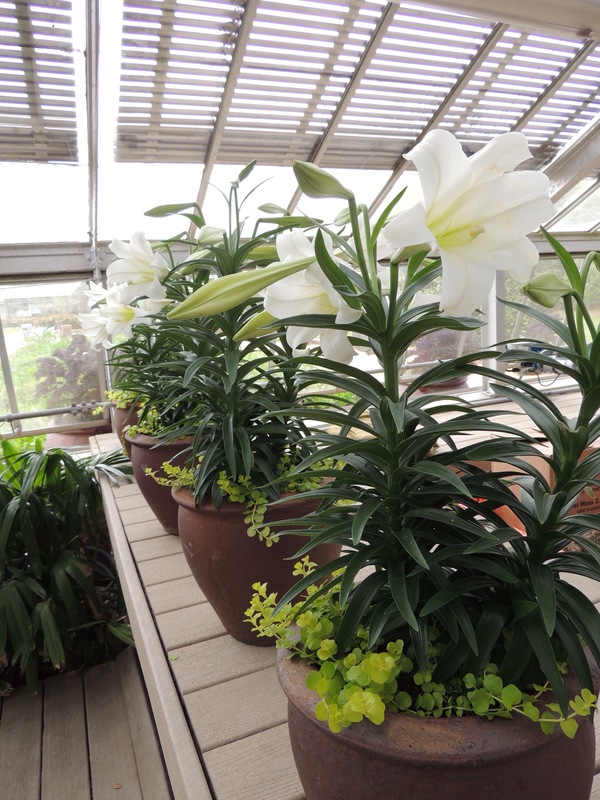 This one was featuring Easter lillies, which were also present in other areas of the gardens. It definitely smelled like spring! 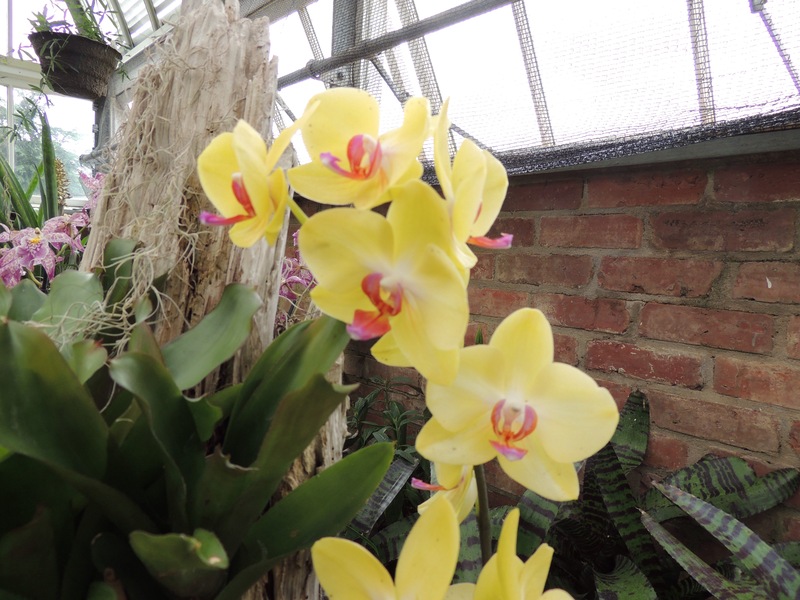 Diana really liked this yellow variety…or, since we are in Texas, this Amirillo variety! 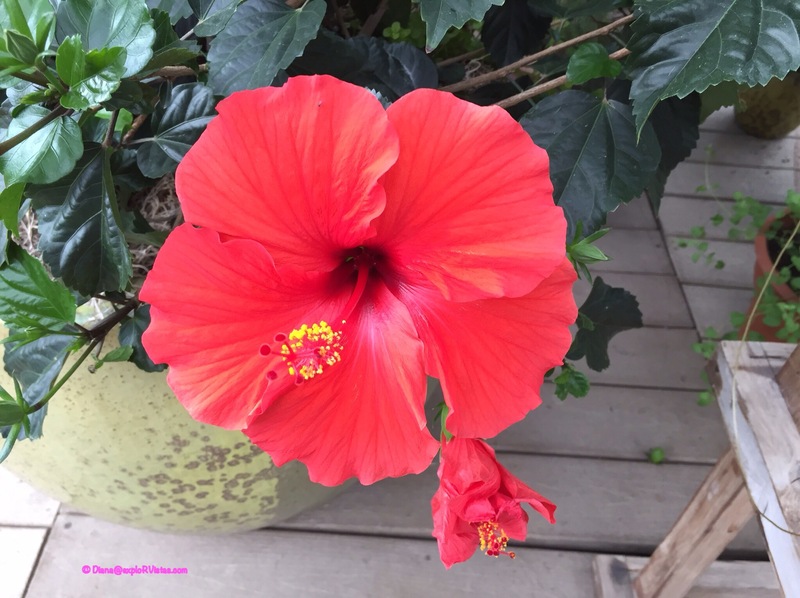 Look at the bloom on this red Hibiscus! From there, we followed the trail into the outdoor portion of the gardens. 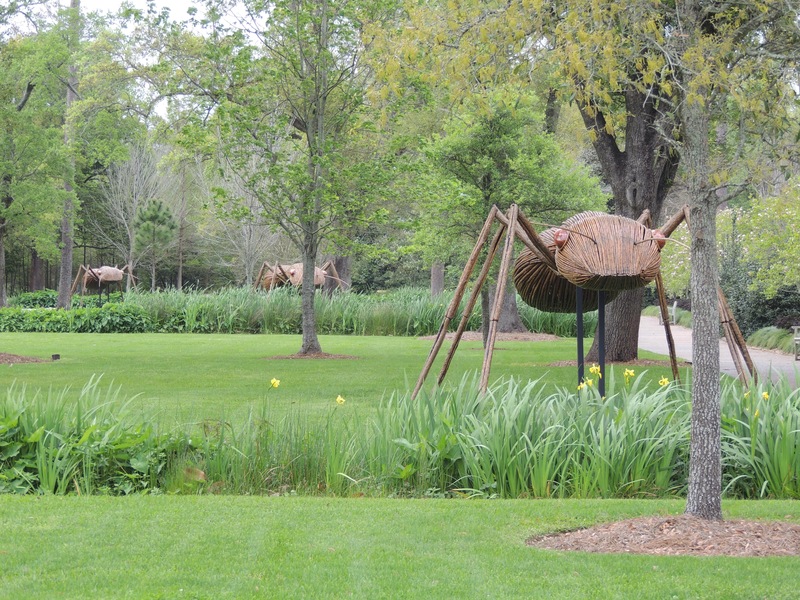 David Rogers series of wooden sculptures entitled Big Bugs currently are featured in the outdoor gardens. Yikes! 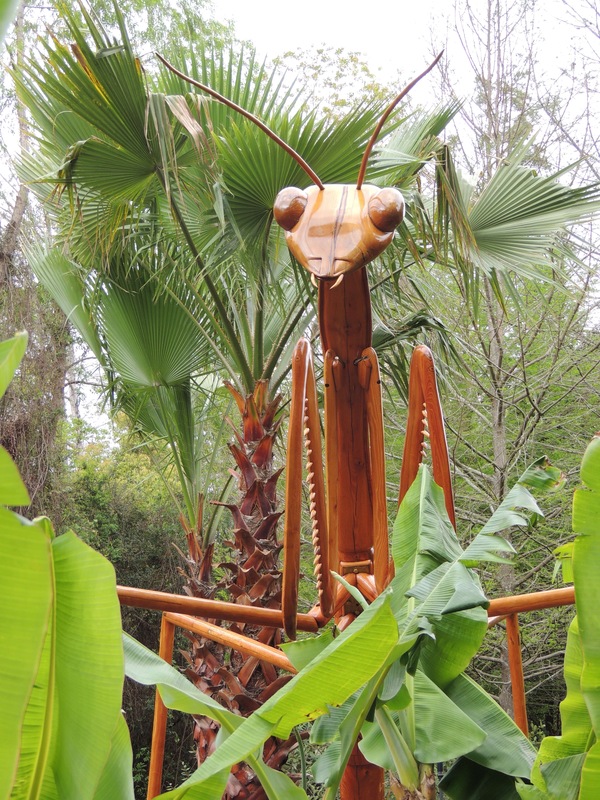 A 15 foot high Praying Mantis! This is an Assasin Bug. 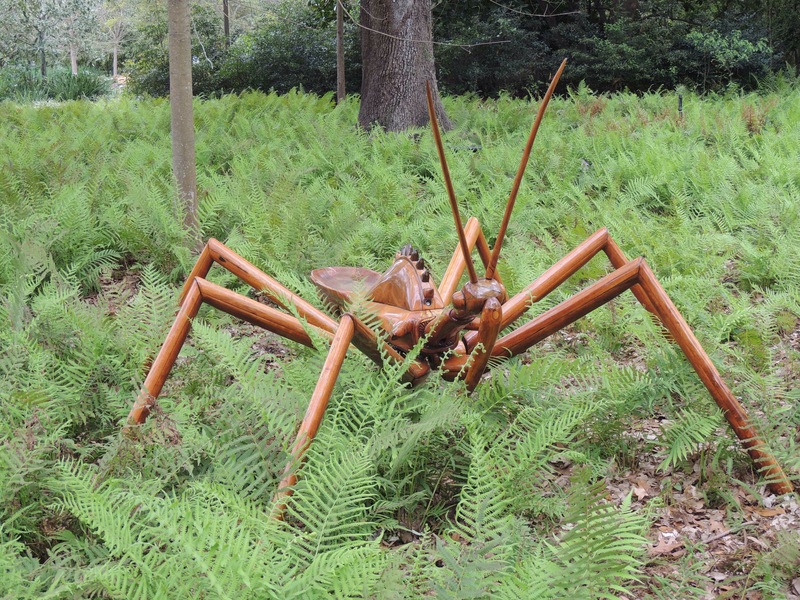 Here is a parade of three giant ants headed our way! On our way out, Diana spotted a flash of wings to our left, as a large bird landed in a tree. We really enjoyed our time at Shangri La Botanical Gardens. If you find yourself in the Greater Beaumont area, be sure to check it out. 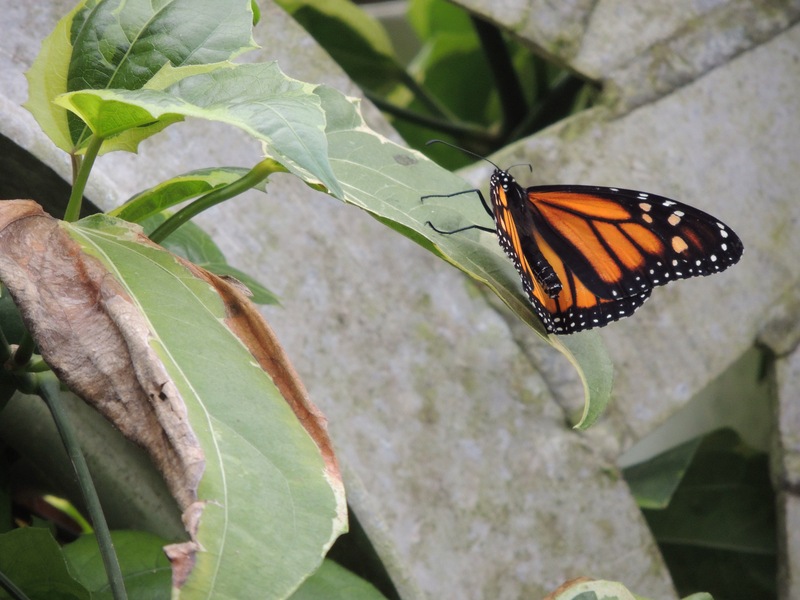 We also can’t say enough about the value of the American Horticultural Society’s reciprocity program, both for us and for the participating gardens. We’ve seen a lot of places we might not otherwise have chosen to see, and the venues are able to showcase themselves to visitors from other areas of the country. Shangri La certainly was a bit of paradise in this very industrial area. I have never even heard of the American Horticulture Society and had no idea they had a reciprocity program…so thanks for passing that along. And super excited about seeing you guys soon!!! Hooray! It’s a great deal for those of us who travel, Tracy. Even people traveling on business can benefit from the program. Nice pictures! 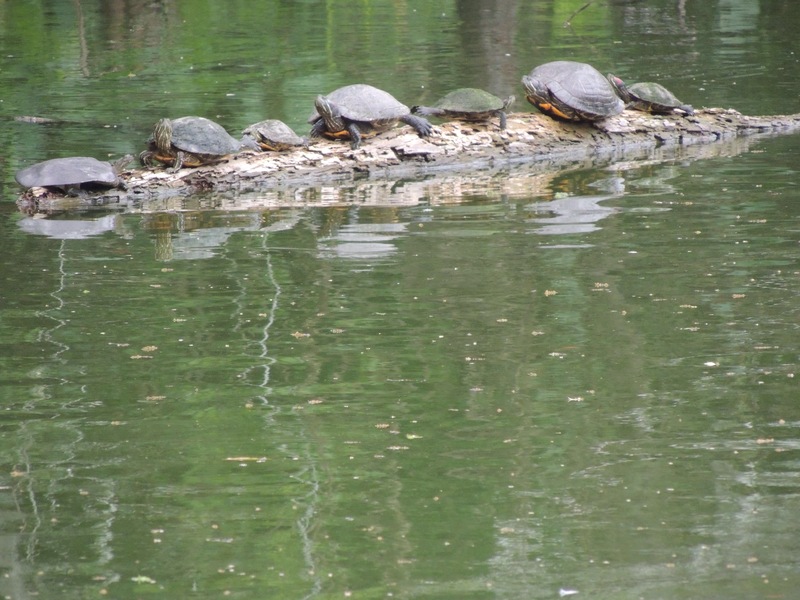 How did you get the picture of the turtles look like an oil painting on your header? It’s an app called Pencil Sketch, Bob. Peter at Life Unscripted turned me on to it. The LEED status is a tough thing… good to see their commitment. love the reciprocity program. we’re about due to renew our St. Louis membership; have to remember to do it. Cattail Marsh wasn’t much, Peter. You would definitely enjoy Shangri La, though. Be sure to renew that membership! Did you try any TX state parks? Or LA parks for that matter? Not yet on the Texas parks, and no on Louisiana. Oh, and I wanted to tell you that I saw my first Buc-ees yesterday. Everything IS bigger in Texas! And LA has some lovely parks. What a great way to bring in spring! The Botanical Garden is beautiful. 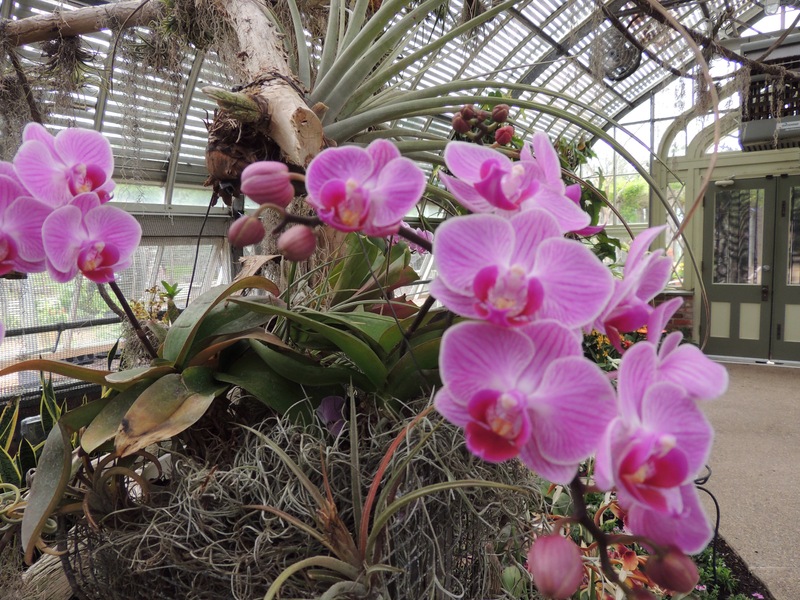 Love those orchids:) The wooden bugs are neat! It definitely was pretty, Pam! Great pics as usual! Thanks for telling us about the gardens! Looks like fun! Definitely worth checking out next time you come through there, Kelly! I do enjoy a beautiful botanical garden. Glad you managed to find something scenic. Loved the turtles! What a great find! 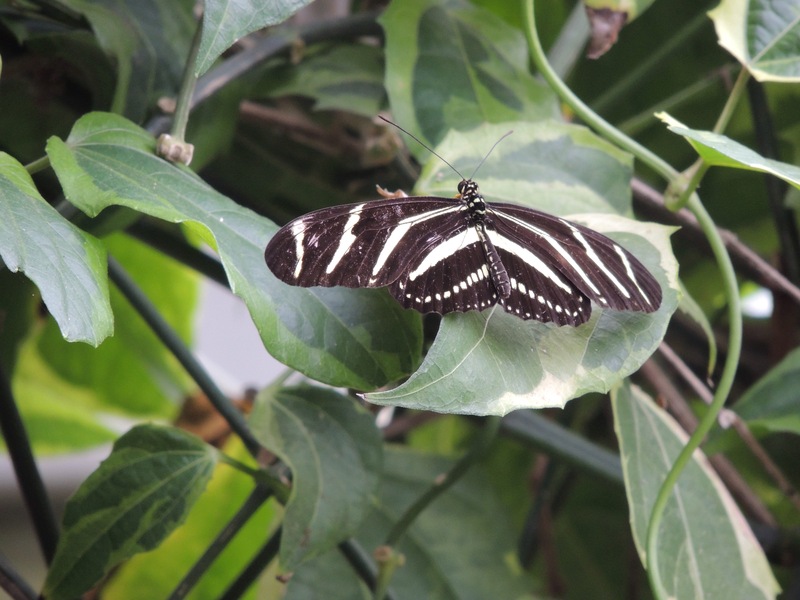 Love your butterfly photos. Sorry you missed seeing spoonbills. Don’t know which way you are headed next but we saw them last spring at Galveston Island State Park, Goose Island State Park, and in Port Aransas at Leonabelle Turnbull Birding Center. Happy spoonbill hunting! We are moving inland, so I’m afraid it will have to wait until next year, Beth. Thanks for the kudos! Great shot of the turtles but I really love the ones of the butterflies! Looks like a great place to stop….. Thanks, Jim! I used the Nikon that day, which definitely helped with those types of photos. How wonderful that the founders had the foresight to save some space for this beautiful garden. Perhaps the gators would be happier if they got to hang out there instead 🙂 Love the Julia butterfly! The Julia was the hardest to photograph, as they wouldn’t sit still. I lucked out on that one, Jodee!